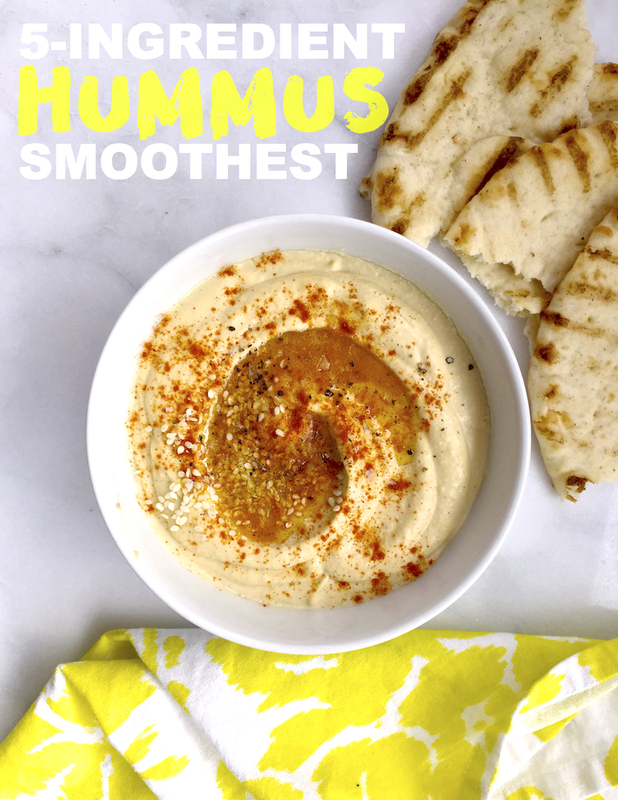 DIY or Buy It: The Silky-Smooth Hummus Of Your Dreams! / Hey, EEP! DIY or Buy It: The Silky-Smooth Hummus Of Your Dreams! Who else wants to hibernate and eat snacks until spring is here? ME! 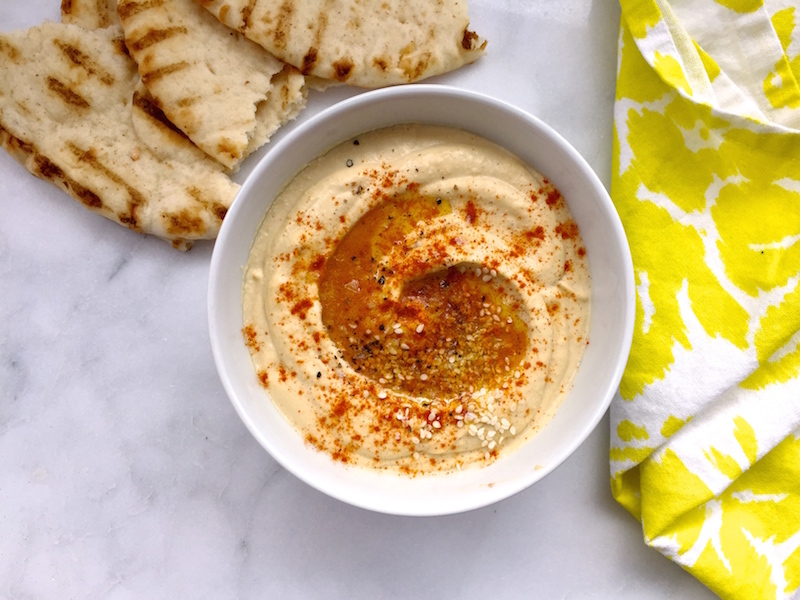 When I'm feeling peckish but kind virtuous, this 5-ingredient hummus is my go-to recipe! Warning: You will eat the whole bowl. And that's okay! Cuz you made it yourself. People often ask me what the secret is to super-smooth hummus and the answer is kind of annoying: You need to peel each chickpea, there's no way around it! Ever notice that thin paper casing around chickpeas when you're making a salad or just snacking away? That's the skin. Thankfully they're easy to peel. Just pinch with your fingers and let it pop off—it's fast!—watch how I do it in the video below. 1. Puree the chickpeas in a food processor until finely ground and smushed into clumps, about 2 minutes. 2. Add the tahini, lemon juice, garlic and 1 teaspoon salt to the processor and puree until smooth. With the motor running, drizzle in 1/4 cup each olive oil and water through the feed tube. Season with hot paprika to taste, pulsing to combine. 3. Transfer the hummus to a serving bowl. Cover with plastic wrap and refrigerate at least 30 minutes. Before serving, drizzle with olive oil and top with more hot paprika (and sesame seeds, if desired)! Looks delicious...and p.s. so does your site lady! ;) Loving the new look.